High precision lapping screw, high solution. 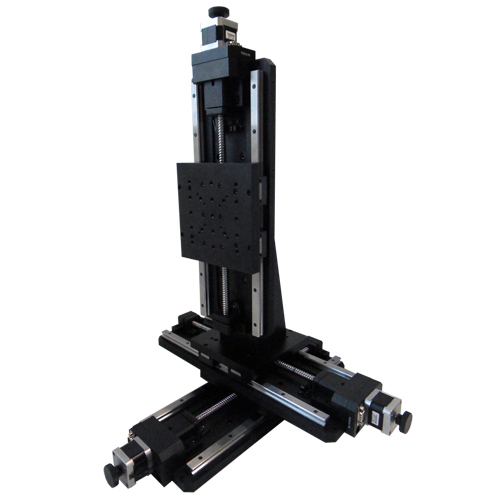 Crossed roller guide, high accuracy, and good linearity. 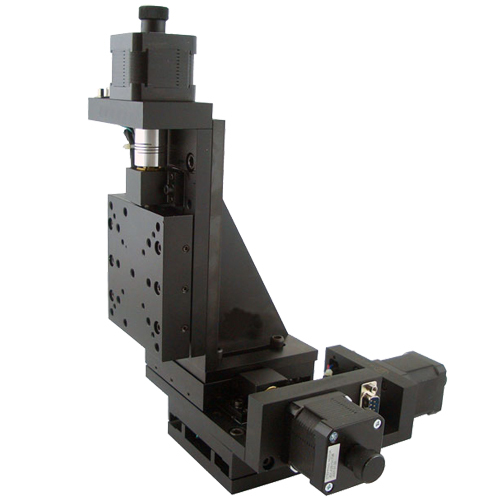 Assembled by three motorized linear stages MOX-02-30, MOX-02-50, MOX-02-100. We can stack three stages in same series to xyz stage with same or different travel range. We can also stack xyz stage according to customer’s request. You can choose the motorized linear stages that you want to stack, and then write down your request in the remark of the order. We will stack them depending on your requirement. Note: For reducing the shipping cost and ensure the safety of the stage, we will pack each axis stage separately. We will provide enough screws with the stage. If you must need us to pack and ship the assembled stage, please contact us in advance. You have to pay for the extra charges.